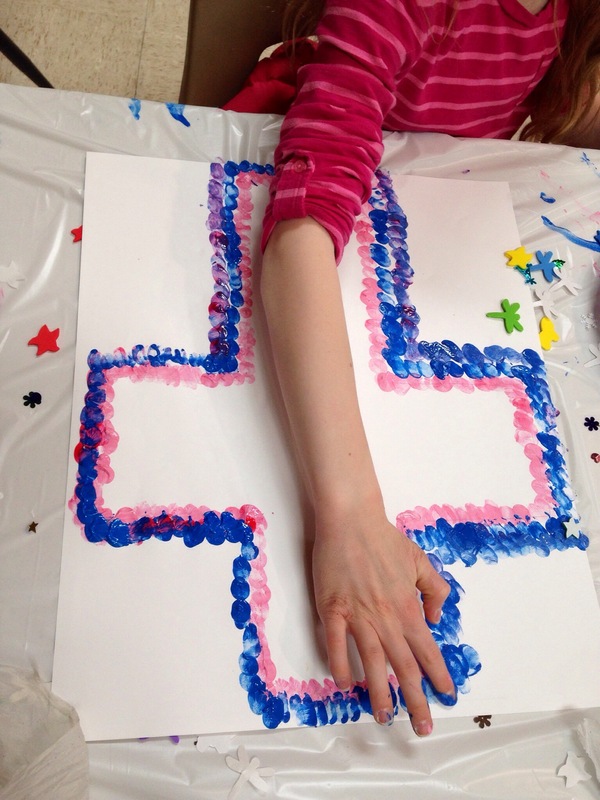 Fingerprint Crosses | My Crazy Blessed Life! 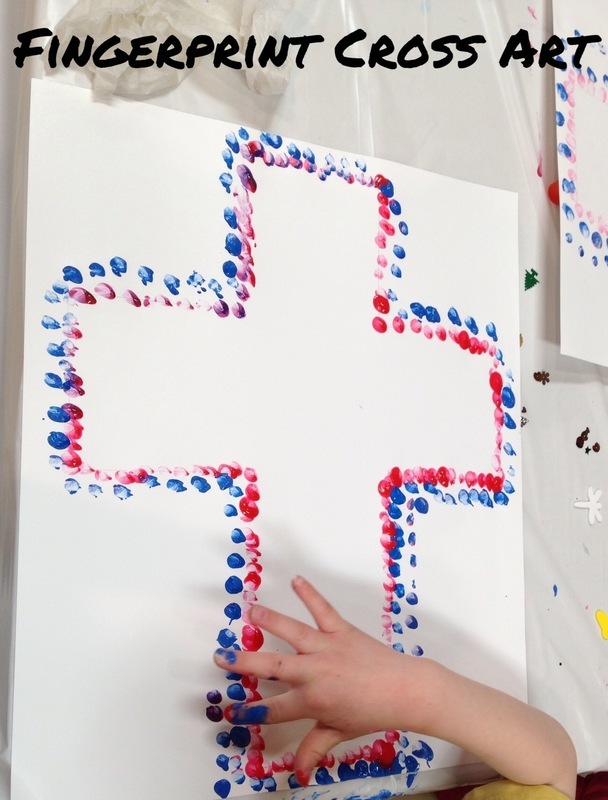 This week in my art class we did a fun and simple project, Fingerprint Crosses! I love giving them projects to take home and display that go with the season. 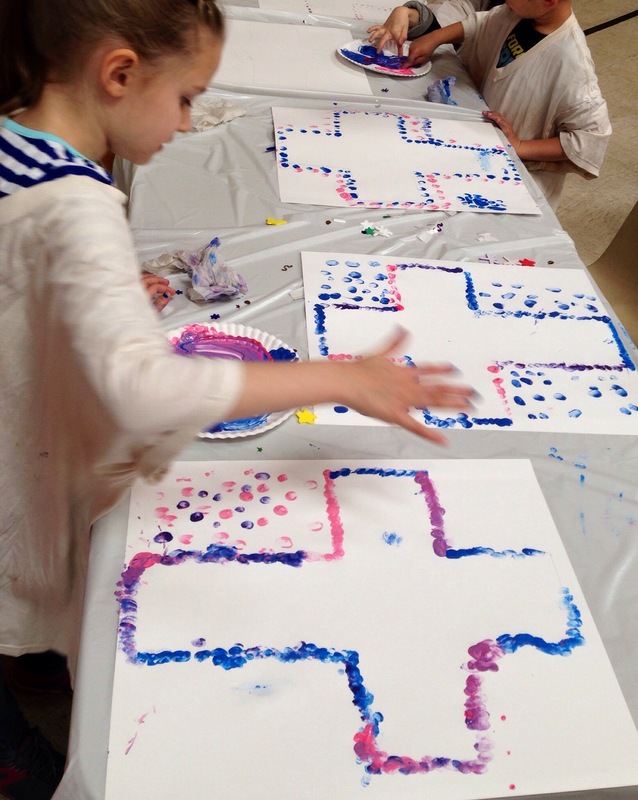 So thinking about Easter and my elementary art students I settled on these fun crosses! 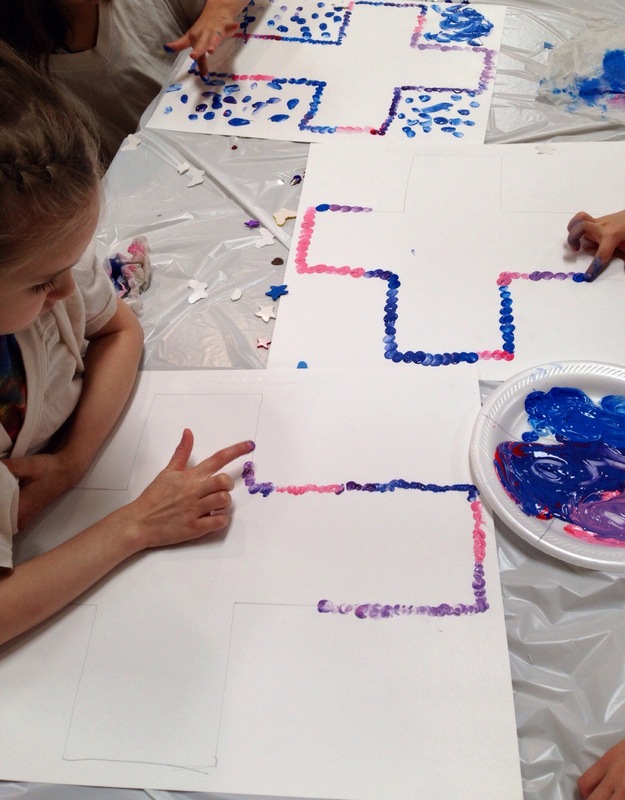 I prepped the poster boards by just tracing a cross on them in pencil before class. 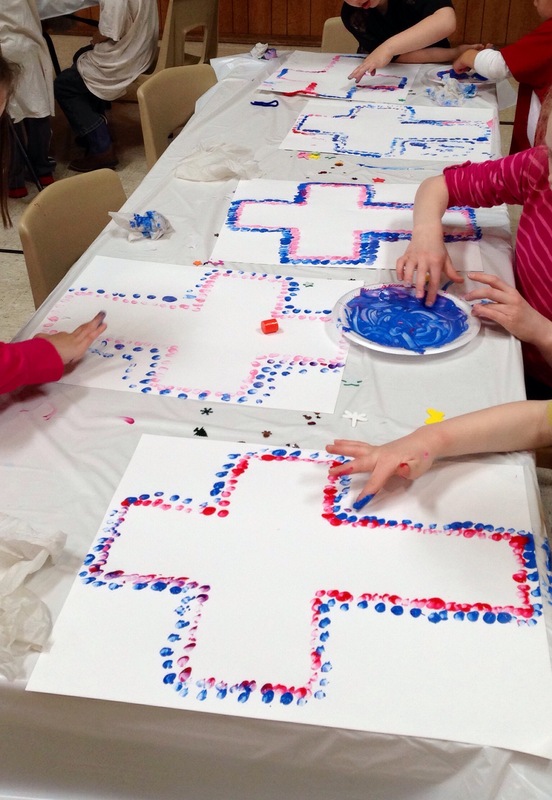 Then gave the kids some finger paints and told them to make prints all around the crosses but not inside them.